Film-Arcade.net: Official Stills for Quentin Dupieux's Upcoming Film "Reality"
Official Stills for Quentin Dupieux's Upcoming Film "Reality"
Sundance Select recently released stills for Quentin Dupieux's (Rubber, Wrong) latest film "Reality". 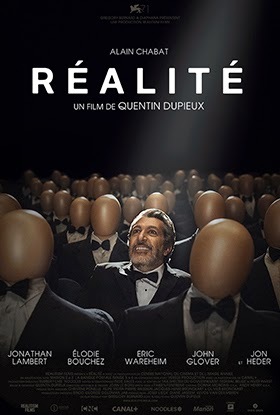 The upcoming film stars french comedy star Alain Chabat, Jonathan Lambert, Elodie Bouchex, Tim John Glover and Jon Heder. "Reality hits VOD on April 30th and theaters in limited release on May 1st.